Each month we focus on one of the latest trends that may have hooked your pupils. We explore the craze and share ideas for how it can be used to promote literacy in schools. The activities suggested could be used in the classroom or library or set as homework. 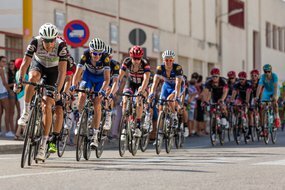 The popularity of cycling has grown massively in recent years, and the Tour de France is hailed as the world's greatest cycle race. This makes it a great choice for themed activities and the event offers a number of engaging opportunities to promote learning and literacy. Recommended reading including Wheels of Change: How Women Rode the Bicycle to Freedom by Sue Macy; Richard Mitchelson’s Grand Tour by Richard Mitchelson; Flying Fergus (series) by Sir Chris Hoy; Eric’s Big Day: A Bicycle Race Unlike Any Other by Rod Waters; and Along a Long Road by Frank Viva. What’s the latest craze in your school? Each month we focus on one of the latest trends to have your pupils hooked.